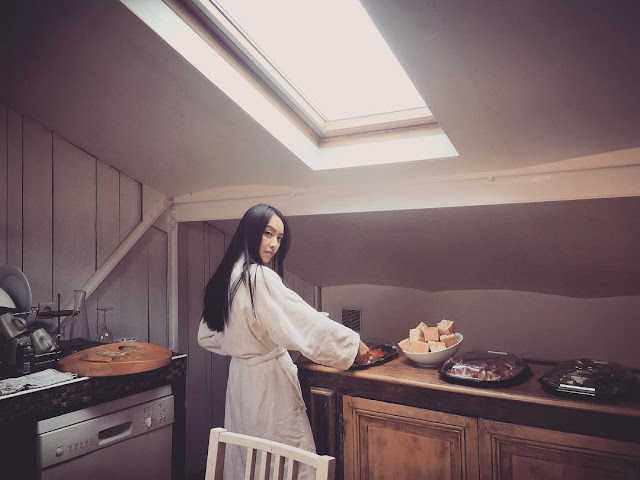 f(x)'s Victoria is ready to serve your breakfast! - SNSD | OH!GG | f(x) SNSD | OH!GG | f(x): f(x)'s Victoria is ready to serve your breakfast! Home / f(x) / Pictures / Vic / Victoria / f(x)'s Victoria is ready to serve your breakfast! f(x)'s Victoria is ready to serve your breakfast! Time to wake up! Breakfast is ready, and it was prepared by a lovely lady. Check out Victoria's next picture where she greeted everyone, "Morning~~~"
Victoria also shared pictures from her pictorial, and you can find more here.